Every year, when the National Symphony begins its Summer Season, I have a little more time in my schedule to enjoy the benefits of summer. Trips to the beach, outdoor swimming pools, barbecues, and best of all, the National Flute Association’s Annual Convention. I have attended eight of the past eleven conventions and always find them to be wonderfully inspirational. There is no other place you can hear so many flutists within such a concentrated period of time. There are many more events scheduled than time in the day to hear it all, but stopping into a concert or masterclass for even just a few minutes can leave a lasting impression. Every year, I manage to hear something, either someone’s playing or a comment in a class/workshop, that gives me new ideas. I leave conventions invigorated and awed by the attendees’ shared love of the flute. This year, the convention is taking place in Washington, DC, my hometown for the past nine years. Aside from the iconic monuments and government buildings, DC’s art museums can’t be missed. The Hirshhorn Museum and the American Art Museum are two of my favorite places in the city and the National Gallery of Art has an incomparable collection. Best of all, most DC museums are free. Joanna Bassett, this year’s Program Chair, has arranged two events in the city before the official start of the convention. One is at the Kennedy Center and the other at the Dayton C. Miller Collection at the Library of Congress. Both places are worthy of exploring outside of the planned special events and both offer excellent tours. DC’s mass transit can take you just about anywhere in the city and is fairly easy to navigate. The convention hotel is located at one of the red line Metro stops, or you can get on a number of buses whose routes go right down Connecticut Avenue. 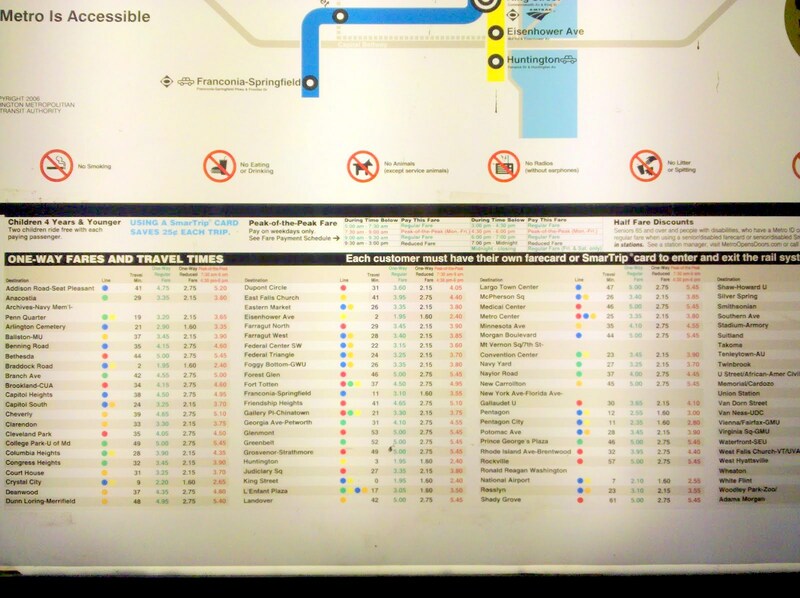 The most confusing aspect of taking the Metro is knowing what your fare will be. The cost varies depending on the distance you’re traveling, the time of day, and what kind of ticket you are using. You can see all the fares on large signs above the ticket machines, but deciphering them can take longer than the ride itself. I recommend checking the Metro Trip Planner at www.wmata.com/rider_tools/tripplanner/ which will give you the exact fare as well as estimated travel times. Alternatively, there are taxis, Uber, the Capitol Bikeshare, and many places within walking distance. The hotel is close to a few different neighborhoods with various dining options. Adams Morgan is just on the other side of Rock Creek park from the hotel and has a myriad of dining options. One of my favorites is Pasta Mia on Columbia Rd. It doesn’t take reservations and there is often a long wait on weekends, but if you have a chance to go, it’s worth the time. Going the opposite direction from the hotel will take you past the National Cathedral (also worth visiting) and to Wisconsin Avenue. The Cactus Cantina is a festive Mexican restaurant which can easily accommodate large parties, or Two Amy’s has great pizza next door. If you head south on Connecticut Avenue, you will arrive at Dupont Circle which also has plenty of great dining options. It also has one of DC’s best private museums, the Phillips Collection. I hope many of you will make the trip to DC for this summer’s convention and will take a few extra days to visit everything the city has to offer. Aaron Goldman, Principal Flute of the National Symphony Orchestra since January 2013, joined the NSO as Assistant Principal Flute in September 2006. Prior to joining the NSO, he was Principal Flute of the Orlando Philharmonic Orchestra and has performed as guest principal with the Baltimore Symphony. 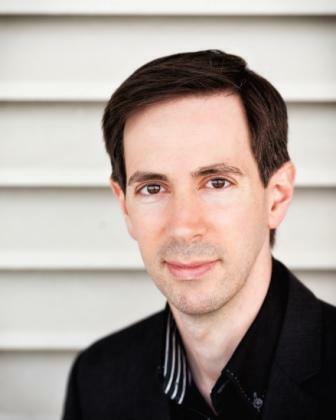 An active soloist and chamber musician, Mr. Goldman has performed concertos with the National Symphony, Amadeus Chamber Orchestra, Virginia Chamber Orchestra, Orlando Philharmonic, the Chamber Orchestra of Florida, and has performed at several National Flute Association’s annual conventions. He appears as part of the Kennedy Center Chamber Players, and is active in NSO In Your Neighborhood, the NSO’s signature community engagement project. He has also performed with the Eclipse Chamber Orchestra, the National Chamber Players, the 21st Century Consort, the Smithsonian Chamber Orchestra, and participated in many educational programs with the NSO, including performances in the Family and Terrace Theaters. He has given lectures at the Carnegie Institute, and the Smithsonian Institution, such as “The Magical Flute” and “Math and Music: Closer Than You Think” alongside former NSO cellist Yvonne Caruthers. Mr. Goldman received his Bachelor of Music degree from the Eastman School of Music in Rochester, NY and is on the faculty of the University of Maryland.